Ever thought of grabbing Latest franchise opportunities in India? spreading happiness? It is impeccably true that ice cream is one thing that could spread smile all over the faces you see. Ice cream never fails, and with Iceberg Ice creams, the task is much easier to crack. With 12 happy branches in a total of 6 cities, Iceberg is one of the growing ice cream brand with superior quality. Iceberg is paving its way to become a large retail chain by the coming years and we are inviting you to be a part of it through this journey. 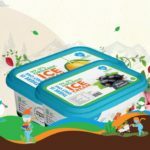 With brand power product quality, now you can also be a part of Iceberg Ice-cream in spreading happiness. Quick returns with high profit. Tie-up with high end reputed brands. Staff training and administration support. Advertising and promotion by franchisor. What are the requirements for opening a franchise? The process starts with an Initial contact. A meeting can be arranged to discuss in details. Following to that, you have to submit personal and business details. With successful processing, MoU can be signed. Further process includes site selection, determining financial outlay and signing the final contract. What kind of qualifications do I need to open a franchise? An enthusiastic, creative individual is a prerequisite to tackle up our franchise. Having an experience in F&B will add up to the qualification. We usually don’t allow partnership firms to be our franchisees. What kind of training and support does Iceberg provide? What should be the ideal location? Yes! We have an in-house digital marketing team to implement marketing for all the franchises of Iceberg. We execute social media marketing for each and every store under Iceberg. Physical marketing plans will be executed in the local areas of the store. Do I have to be involved full time? Yes. We prefer that having a physical presence in the store will give you a maximum view of the opportunities and the challenges involved. The decision making is majorly influenced by the role you play as an owner of the franchise. What income should i expect? Iceberg has a deeper profit margin than it looks from outside. We ensure an approx. 25% profit margin on overall sales revenue. We can have a detailed discussion about all the ways you can earn with Iceberg in our further follow-ups. The ongoing royalty fee ranges from 2 to 6% of gross sales.